Summer is here - and nothing goes better with summer than lemonade. Stolichnaya knows this and is here to help us all take it to the next level. 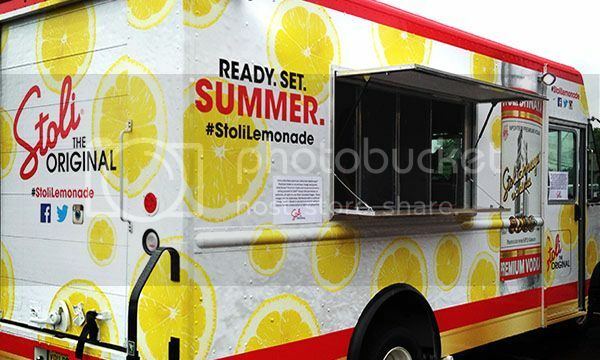 This summer, Stoli® Limo-nade Trucks will head out across the country. 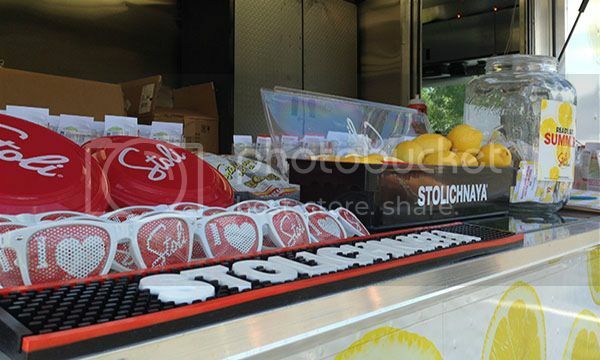 (You can find the truck schedule on Stoli®'s Twitter page.) Also, there will be over 300 bar nights in 12 cities including Boston, Chicago, Dallas, Denver, and cities in New York and New Jersey so you can sample Stoli Lemonade cocktails, flavored Stoli® Lemonade ice pops, and take part in fun summer challenges to win Stoli® prizes. Those events sound like fun - but if you don't have one near you, you can make your own Stoli® Vodka Lemonade Cocktail at home! Next time you’re at your favorite liquor store, be on the lookout for Stoli® value-added packs, complete with the iconic glass Mason jar, a lemon squeezer, and a 750mL bottle of Stoli® Vodka. The Hero Recipe for Stoli®Lemon-ade is super easy to make - with or without the value-added pack: all you need is an ice-filled mason jar or highball glass. Fill it with 2 parts Stolichnaya® Vodka and 4 parts lemonade. Stir and garnish with lemon wheels. The smooth grain taste of Stoli® pairs perfectly with the tart and sweet notes of a quality, natural lemonade. You can make this with Stoli®Premium Vodka or one of the Stoli® flavored vodkas. Mix the sugar, water and lemon juice. Fill mason jar with ice. Pour lemonade over ice and top with raspberries and a fresh lemon wheel.